How to recognize blank page in PDF and set it as split tag by using A-PDF Scan and Split? 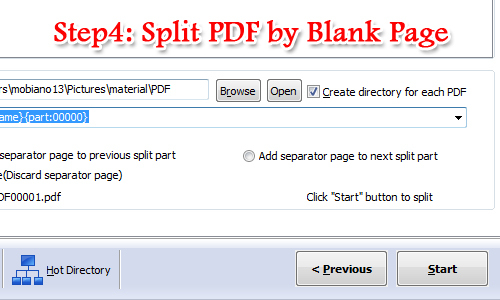 I would like to split the PDF page by blank page of my PDF file. Can I mark the blank page as tag and split the PDF file by A-PDF Scan and Split? Just show me the tutorial to make it work. 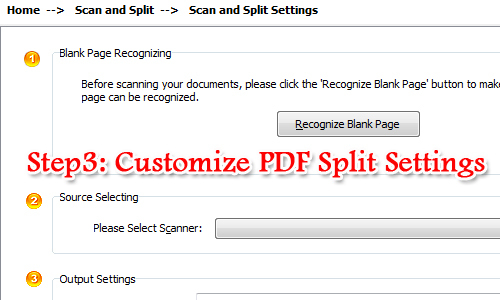 A-PDF Scan and Split is a user-friendly PDF tool for users to split PDF by different split method. With A-PDF Scan and Split, users can split PDF directly, scan and split or split in command line with ease. Anyway, when you select split PDF or scan and split PDF, you will see there are three split methods for users to choose. They are split by barcode page, blank page and based on pages. Now let's take scan and split for example and show you how to split by blank page. With A-PDF Scan and Split, there are two modes batch convert mode and hot directory mode for users to choose. Usually we choose batch convert mode. 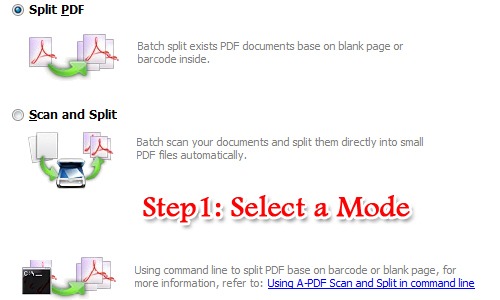 And then you should select a way to split PDF from batch convert mode. Let's take split PDF for example. 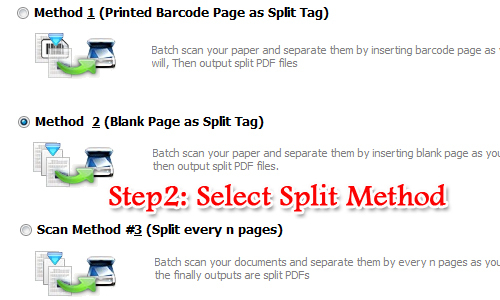 And then you will see there are three split methods split by barcode page, split by blank page and split base on pages. Just select "Blank Pages as Split tag" and click "Next" to continue. Now you are able to customize Split PDF settings. First of all,blank page recognizing then source selecting and output folder and name settings. Then we move to the final step. That’s start to split PDF file by blank page with ease. Anyway, if you want to split the PDF with hot directory mode, just click hot directory button and import PDF files.